Located within Metropolitan Open Land and a ‘site of special interest’, the setting is particularly attractive. A major programme of earth mounding and landscaping was included in the contract to soften the impact of the extension on local residential areas. 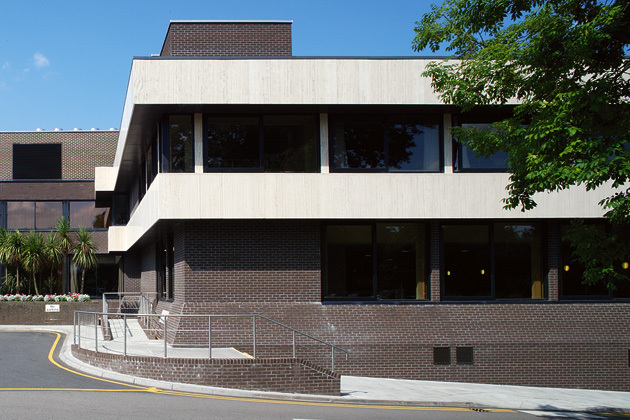 The scheme provided space for the following facilities: two additional full theatres, as part of a general upgrade of the theatre department; a new sterile supplies unit; space for 43 additional bedrooms with en-suite facilities; a consulting centre (the largest of its type in a private hospital in the UK) with 26 consulting rooms and its own minor procedures suite containing two minor theatres; a comprehensive new physiotherapy suite and associated hydrotherapy pool; and a large undercroft car park capable of future conversion to clinical use. 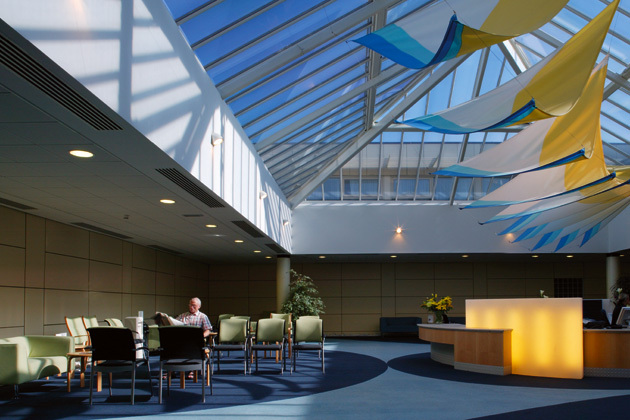 A spacious 18m x 22m ‘atrium’ under a glazed canopy provided a new central space for the outpatients' waiting area. This established the modern, airy interior design concept used throughout the new extension. Following the successful completion of the project, we were commissioned to produce a comprehensive design manual. This covers interior concepts, lighting, finishes, fittings, furnishings and artwork. The manual applies to all refurbishment work undertaken by BMI Healthcare hospitals nationwide and is currently in use at each of the 50+ hospitals in the group.